"It's a marvaleous night for a moondance"
Upon graduating from college with a business degree, Barbara worked in sales, marketing and management for over 10 years for two major New York City based firms. After settling in Ridgefield, CT as the town to raise her 3 children, Barbara went back to her first love -- real estate -- and started her own company called Reissource Project Management LLC. "It was great to get back into kitchen and bath remodeling and decorating and working again with real estate agents." Staging was then added to her remodeling and project management. "Staging is an important way to present a home to potential buyers to enhance the home's value. It has become an invaluable tool to sellers and buyers in the real estate market. "Barbara then took a job with the Ridgefield Board of Realtors. 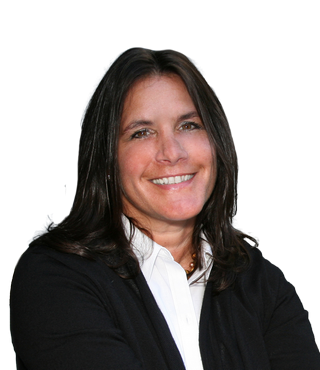 Today Barbara Reiss is happily a part of the William Pitt Sotheby's International Realty Ridgefield Office. In 2011, as a way to help clients promote their properties, Barbara is hosting a weekly segment, 'The real estate minute with Barbara Reiss', on the nationally syndicated radio program in 40 markets with 600,000 listeners, The CEO Show. Summing it up, "I truly love real estate and feel very fortunate to be a part of this industry. I was raised with high morals and ethics and have seen how that has been a wonderful foundation for my business." My husband and I had the pleasure and good luck to have worked with Barbara Reiss in the recent sale of our home. Barb was with us every step of the way in our year-long transaction. Her professionalism and market knowledge guided us through the process from staging our home to negotiating and closing. She was always available and always had any market information we requested. In short, she supported us through what can be a long and emotional process with grace and a terrific knowledge of the market! We are so glad to have chosen her! Thank you for assisting us in our house purchase! I had a good feeling about it from the first time I saw it. Your professionalism really stands out. Thank you so much, and I hope to see you around town. Barb is a joy to work with! She is personable and does a wonderful job handling the many personalities that come into play in realestate transactions. We have moved many times over the years and were so impressed with her professionalism, knowledge, patience, and diligence that we have used her on multiple transactions - both buying and selling. She can negotiate a deal with the hardest of clients and has always exceeded our expectations. Most importantly, she is trustworthy and you can be assured that no one will work harder for you than Barb. We highly recommend her!